Orthodontics don’t just make your teeth look great; they also protect and enhance your dental health for years to come. However, in order to get all the benefits, you need a great orthodontist. Like we said in our last blog, you’re putting your dental future into the hands of someone you don’t really know. You need to be able to trust that this person will not only seek to understand your needs, but do everything possible to make you comfortable and provide a fantastic end result to treatment. We already went through some of the characteristics of a fantastic orthodontist; you can check them out in our previous blog. Today, we want to share a few more of the things we strive for every day in our workplace at Rogers & Andrews in Augusta. Read on! …Is passionate about their work. These are all actions you can look for in a single conversation. In addition to observing the orthodontist, pay attention to the support staff. Do they have good morale? Are they taking care of their facility? Don’t mistrust your reading of the office as a whole. If the environment feels bad, it doesn’t matter how modern or trendy the office is; try somewhere else. There’s a lot to know when you’re an orthodontist. However, being intelligent, competent, and producing quality work isn’t enough in this industry. Orthodontists are in the business of people, and a major part of their success depends on how well they interact with their patients. Bedside manner is just as important as qualifications. Choose the orthodontist who makes you feel comfortable and cared-for. Just because someone has good people skills doesn’t mean they’re good with kids. If your child is getting braces, make sure the orthodontist makes your child feel comfortable. You want your child to be comfortable and confident! These days, it’s pretty easy to check up on potential orthodontists and see what people have to say about them. Feel free to use the web to do some of this work, but see if you can talk to friends or family that you trust, too. 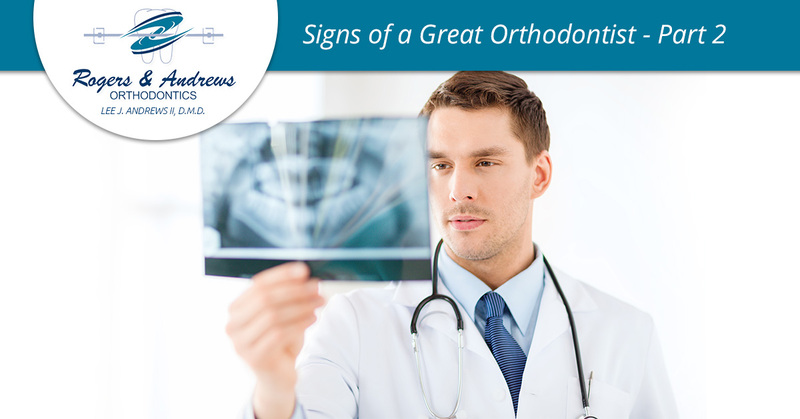 Finding an orthodontist you can trust can seem complex and unlikely sometimes. The key is having the patience to gather information so you can make the best choice possible. At our office in Augusta, we make every effort to be transparent and supportive so prospective patients feel empowered to make their own choices. Contact us for an appointment and let us show you what is possible today!